This week, since the house has really taken shape, I thought you might enjoy a walk around video to give you a better sense of how the house is going to look. 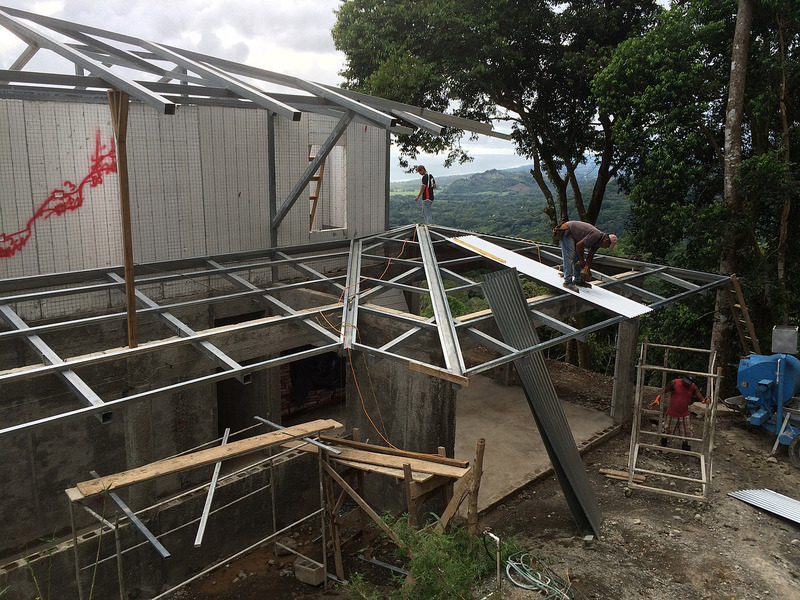 One of the most important elements of a house in Costa Rica is the roof. With the large rainfall and strong sun here in the tropics, you can have major problems if your roof is not done correctly. 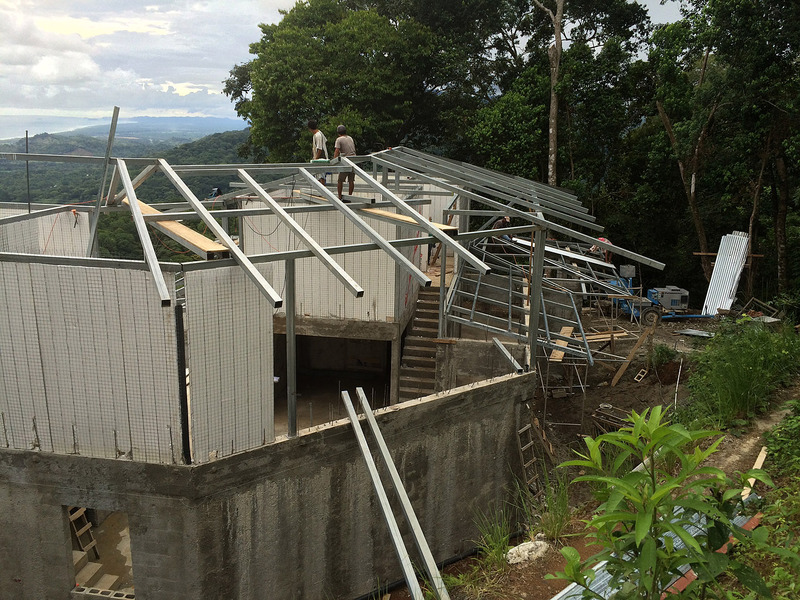 The priority of this last week was to work on the roof…starting the framing of the upper roof and getting the lower roof framing almost completed. 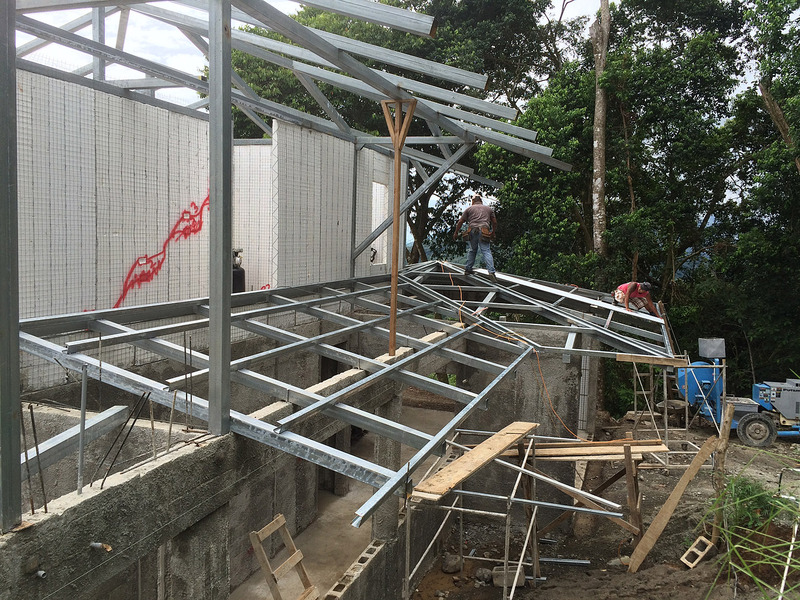 The roof will consist of zinc sheets (the wavy sheets of metal) on top of the purlins (the roof framing) and then a plastic roof tile, which are made to look like the Spanish clay tile. 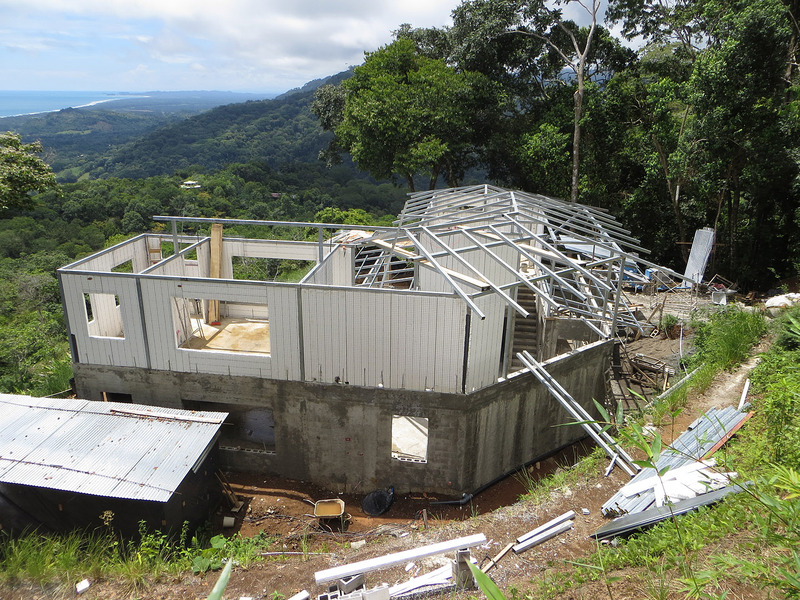 The upper roof will also have a layer of reflective insulation. 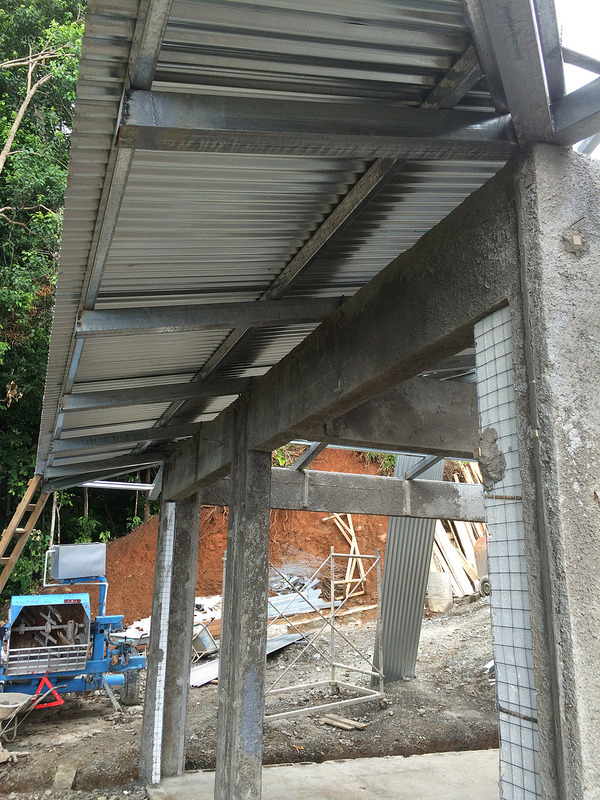 Here you see a portion of the carport roof with the zinc in place. 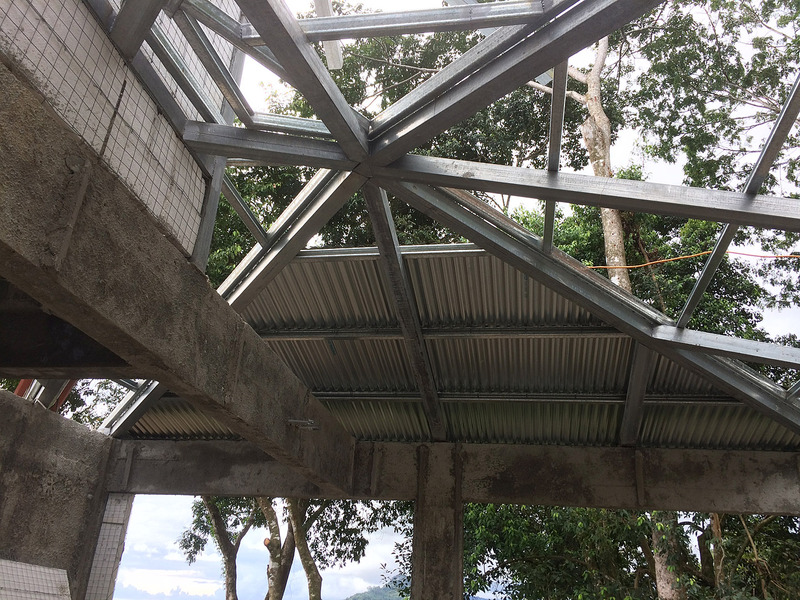 Another view of the carport roof. 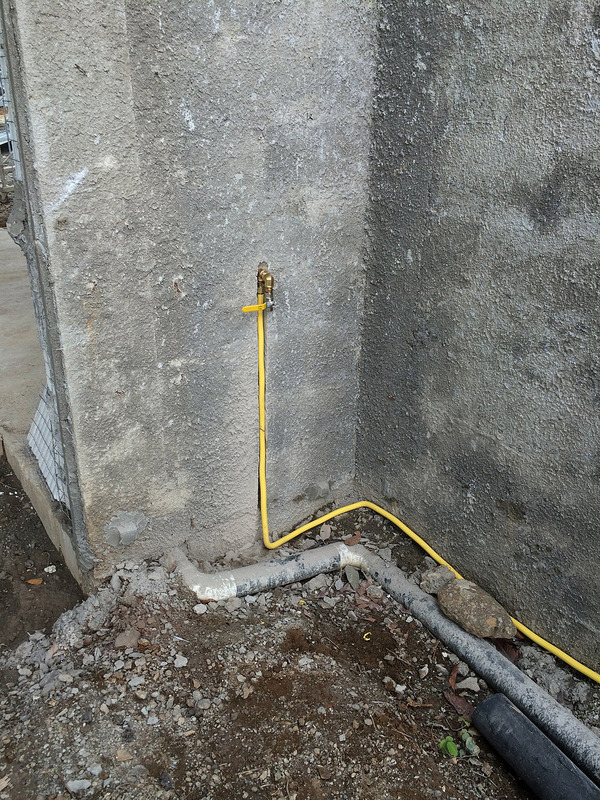 A propane lines was installed to feed the stove in the kitchen and also the BBQ grill on the terrace. 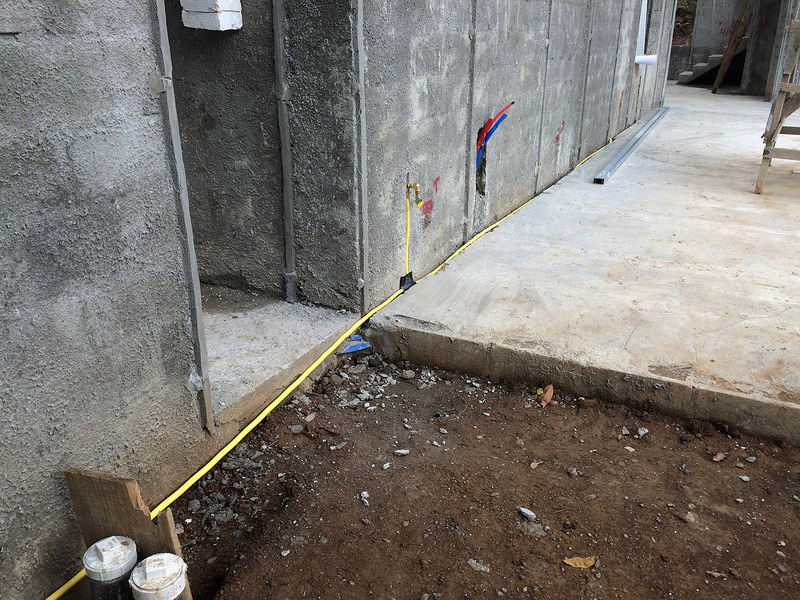 This entry was posted in Building our House and tagged building a house, Costa Rica, house building project, house construction. Bookmark the permalink.